Drinking beer while on vacation is a given. Whether sitting on a dock or in a cabin, or just chilling in your basement relishing in a little time off, beer takes that relaxation to the next level. 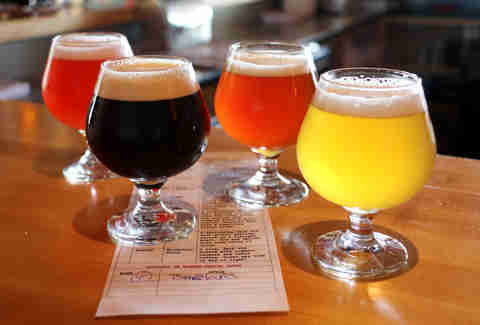 But if you're a serious beer drinker, sometimes the beer itself can dictate where you're vacationing, and the first thing you look for before you book -- even before an Airbnb -- is a list of breweries and beer bars. 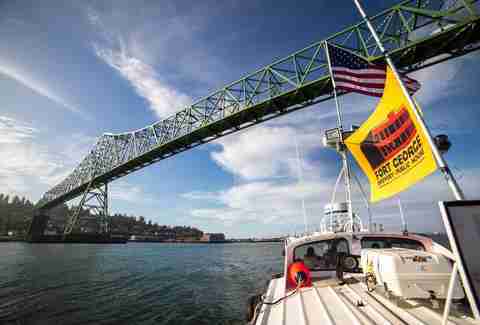 The destinations below are the perfect spots to mix standard vacation activities -- boating, hiking, sitting lazily in the sand -- with some of the best beer in the country. Next time you're looking for a little R&R, consider these amazing beer-cation destinations. Editor's Note: While we love our big beer cities -- Portland, San Diego, and Denver are fantastic vacation spots -- we largely kept our selections out of the biggest (or most obvious) beer metropolises. But hey, we're not stopping you from vacationing in the best beer cities, either! They don't call it "Vacationland" for nothing -- Portland, ME offers just about every single thing a beer-loving vacationer looks for in summertime travel. First off, this fishing town-turned-foodie mecca is ridiculously pretty, with sweeping views of Casco Bay (where kayaking, whale watching, sailing, and fishing reign supreme), cascading waterfalls at Jewel Falls, and the dog-friendly rocky shore beaches and stunning Victorian-era mansions along the Frederick Olmsted-designed Eastern Promenade Trail. Oh, and that beer? Some of the best in the country. 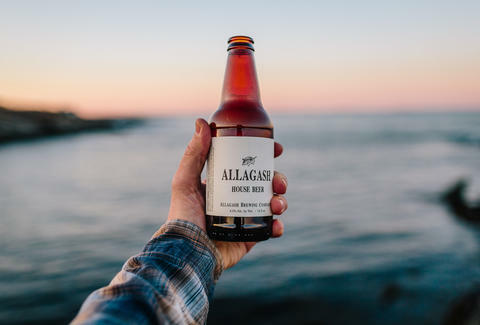 No journey would be complete without a stop at Allagash Brewing Co., the Belgian-style brewery that continues to wow thirsty Americans from coast to coast. Other must-dos include Maine Beer Co. (whose Freeport location is just a stone's throw from the famed L.L.Bean Flagship Store), Bissell Brothers Brewing Co., Rising Tide Brewing Co., Bunker Brewing Co., Oxbow Blending & Bottling, Foundation Brewing Co., and old-school forerunner Shipyard Brewing. If bars are more your bag, a pilgrimage to Downtown Portland's Novare Res is in store for you, followed up by stops at the King's Head pub and The Great Lost Bear. Hungry? Drop by Slab for deep dish and local drafts or, if you're feeling fancy, finish your day with an exquisite farm-to-table dinner (and plenty of beer) at Fore Street Restaurant. If you're in Montana as a vacationer, odds are you're there to camp. Or maybe you're going to Yellowstone. Or Flathead Lake. Or chilling in the Sawtooths. But if you're in the western part of the state, odds are that you're stopping in Missoula. And if you're a beer lover, well, why not just put down stakes and stay a while. It's a beautiful college town. It's got tons of great restaurants and bars. And, well, it's also one of the most unexpectedly great beer towns in the country… second, per capita, in beer-to-people, and one where, if you start to crave some of that Big Sky, you can just kind of walk five minutes outside the city limits and see something amazing. 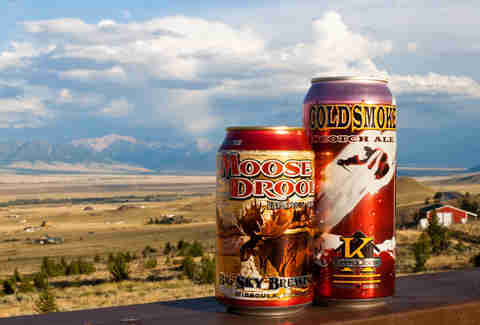 Speaking of Big Sky, the purveyor of Moose Drool calls Missoula home, and pours out its standards in addition to more Belgian-leaning brews like the Buckin' Monk tripel, in addition to the legendary Ivan the Terrible stout. Tamarack Hat Trick IPA brings the hops, while the ever-popular KettleHouse plays to the hippie contingent with a hemp porter and the Fresh Bongwater pale. Bayern, meanwhile, offers up a huge variety of great German-style ales of the bock family and new-schoolers like Draught Works have the rest of the Euro influence covered with Scottish ales and Pilsners. There's something for everybody, mostly within walking distance (you should be accustomed to hiking if you're here), creating infinite pub-crawl possibilities for folks sticking around, or one-stop shopping for everybody in your RV en route to Yellowstone. There's no way around it: Tampa summers are HOT. But what better way to battle that 90-degree weather than chilling on the beach with a pristine, locally made craft beer? Far from the glitz and glamour of Miami, Central Florida is one of the country's best-laid back vacation destinations for folks who don't want to ditch city life, with loads of museums, hiking, golf courses, theme parks, water sports, bars, and breweries galore. 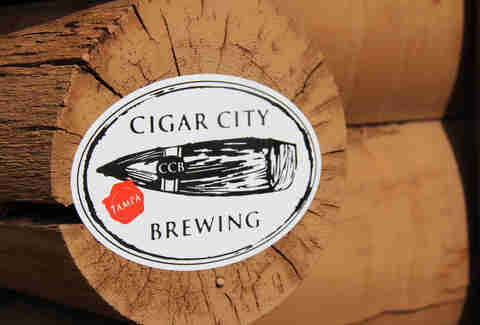 Begin your day at Tampa's legendary Cigar City Brewing, which operates a production brewery, brewpub, and cidery. Aside from the Big Guava's biggest, you'll also want to hit up Tampa Bay Brewing Co., Coppertail Brewing Co., Angry Chair Brewing, Tampa Beer Works, Brew Bus Brewing, and Dunedin's 7venth Sun Brewery. If you're still searching for suds, cruise over to the well-stocked Brewers Tasting Room in St. Pete, then hop back over the bay for a pint at the Pour House at Grand Central, Mr. Dunderbak's biergarten, or the Brass Tap, followed by some beer-friendly eats at Datz or The Bricks Ybor. In need of a brew break? Satisfy your curiosities with a visit to the Museum of Science and Industry, Lowry Park Zoo, the Florida Aquarium, or the American Victory Ship Mariners Museum, take in a Rays game at Tropicana Field, seek some thrills at Busch Gardens, or dance it out in Tampa's vibrant Ybor entertainment district. 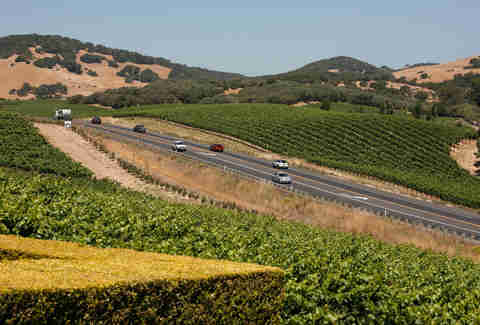 Oh, sure, it's wine country. And Redwood country. And fancy-food country. But dammit, it's beer country, too. Let's just take a look at some of the world-class breweries holding court in Sonoma. Ever hear of Russian River? Yeah, that's in Santa Rosa, and Pliny's in good company with the likes of old-school Third Street (always a bridesmaid to RR, but most bridesmaids don't make beer this good) and newcomers like Fogbelt. Healdsburg -- one of the best small food cities in the US -- is home to Bear Republic, maker of the legendary Racer series. Petaluma birthed a Little Sumpin' called Lagunitas, and also houses 101 North and Petaluma Hills. We can go on and on… and that's to say nothing about the homey towns, cabins, roaring rivers, and mighty coastline. It's basically a series of small beer towns disguised as hamlets for the merlot set. And you're still drinking wine? Get a map, get a driver, and get exploring. The pastoral counties that form the Berkshires and the Pioneer Valley are the stuff of lazy summer dreams -- rolling hills, crystal-clear swimming holes, charming college towns, picturesque hiking and golfing destinations, top-tier museums and performance venues, and, believe it or not, a big old craft beer scene. In terms of breweries, you don't want to miss Monson's hole-in-the-wall Tree House Brewing Co. (whose cult status rivals a certain Vermont hop mecca), Easthampton's Abandoned Building Brewery, English-style ales from Pittsfield's Wandering Star, Greenfield's beloved People's Pint and Lefty's Brewing Co., the multi-award-winning Northampton Brewery Bar + Grille in Downtown Northampton, and South Deerfield's craft OG, Berkshire Brewing Company. Bar-wise, peep the insane draft list at the Moan and Dove in Amherst then head over to Northampton for stops at the Dirty Truth (another perfectly curated tap list), The Foundry for a sandwich and a sour ale, and Sierra Grille for an elevated, beer-focused dinner. While getting from one place to another might require some car time, the lush scenery and quaint New England hamlets lining the way make any route well worth it. Just, you know, find somebody else to drive. If you close your eyes and try to picture a gorgeous Michigan lake town, your mind will very likely draw a picture that looks exactly like this bay city that, thankfully, isn't actually Bay City, with respect to the Rollers. The heart of Michigan's wine country is like a postcard of Michigan's azure-blue paradise, a place with endless options for great food (Cooks' House… good Lord! ), a solid film fest, museums, and laid-back summer life. Oh, and there's beer. Sorry, all that whimsy made us forget why we're here. Yeah… so about that beer. Traverse -- a tiny town of about 15,000 or so, minus the "sprawl" and situated on the magnificent Leelanau Peninsula -- happens to house the state's best beer bar in the form of 47-tap-deep, Michigan-centric 7 Monks, but it also owns it when it comes to breweries. There's the famed Mackinaw Brewing and a hub of barrel-aging masters at Jolly Pumpkin in town, while Right Brain Brewery, Ferment, and Workshop hold their own in a city blessed with as much beer as it is scenic viewpoints. There's probably no better place in the state to chill beachside while drinking a locally crafted beer. Combine America's two greatest pastimes -- baseball and beer, duh -- with a trip up to Cooperstown, a gorgeous lakeside oasis just four hours north of New York City with a rich and longstanding brewing tradition. Before Prohibition, upstate New York was ground zero for American hop production, and while the fields may have died out, the culture sure didn't. 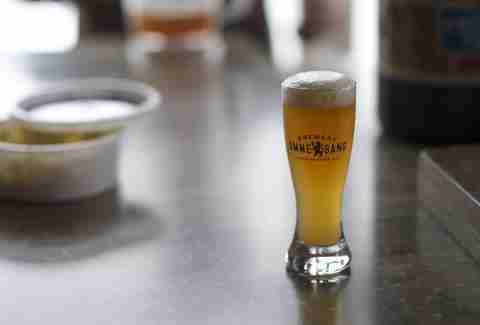 Start at Brewery Ommegang's sprawling campus, where you can grab a bite from the cafe before taking an insider's tour of New York's best Belgian-style craft brewery. If you can pull yourself away from all that unfiltered deliciousness, continue on to nearby newcomer Council Rock Brewery, then pop over to Butternuts Beer & Ale (Garrattsville) and Cooperstown Brewing Company (Milford) before ending your day lakeside with a Butcher's Burger and cool pint at Hawkeye Bar & Grill. 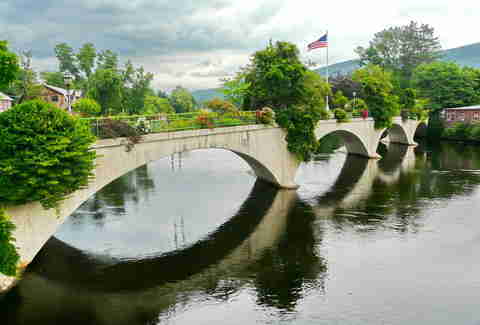 The area's main non-beer attraction is, of course, the Baseball Hall of Fame, but there's plenty to see besides The Show, including the historic Farmers' Museum, the Fenimore Art Museum, fishing/chilling on Otsego Lake, and hitting the links (or perhaps just the spa) at Cooperstown's swanky Otesaga Resort Hotel. Oregon's not exactly lacking for brew-intensive cities paired up with beautiful scenery -- Hood River and Bend are among the country’s best smaller beer cities, after all -- but when the sun comes out, the siren song of the Oregon coast is pretty impossible to resist. And while there are so, so, so many great beach towns, Astoria -- where the mighty Columbia drains into the Pacific -- is the booziest. Even if you don't know Astoria, you know Astoria. It's the home of The Goonies, after all (and Short Circuit and Kindergarten Cop and Free Willy), and Chunk’s bowling alley and the Goonies house still stand (don't try to get in there). More importantly for our purposes, it's also home to a handful of fantastic breweries… not as many as other Oregon cities, but hey, this is supposed to be relaxing. Start at Fort George, the city's biggest and best known for cans of Cavatica stout, Vortex IPA, and 1811 lager, but where you can get seasonals like the easy-drinking Overdub and the Citra-loaded Suicide Squeeze IPA. The semi-rustic Buoy, meanwhile, is currently on the rise across the region thanks to its beloved NW Red and a Czech Pils whose easy-drinking body belies a 6.2% wallop. The shacky Wet Dog remains the oldest in the city (get the Red Beard amber), but there's also great selections to be had at a dockside Rogue, where you have to cross a rickety bridge and park on the planks, and the quaint Hondo's. Not enough? Well, you're at the coast. Cruise down to Cannon Beach, Warrenton, or Seaside for even more (and taffy! So much taffy!). Or just grab a growler, find a beach, and warm yourself up to brave the cold, cold waters. Drinking beer in Boulder is hugely different from drinking almost anywhere else -- there are 5,430 reasons why, which is also its elevation. Smart people say not to drink for your first 48 hours here. So do that... and then do this. Hang out on either of Mountain Sun's patios for taproom-only delights like the popular Colorado Kind ale. 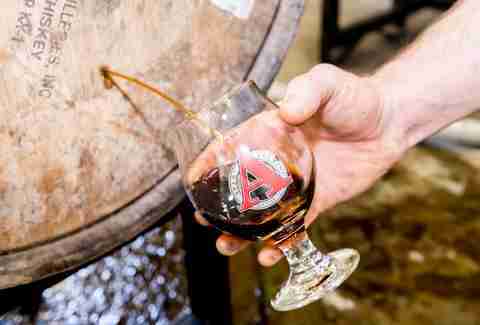 Always worth a stop is Avery's newish, enormous facility, where you can tour its digs and stop by the taproom for the food, and also for the incredible beer, which includes rarities you can't find in any bottle or can. Don't forget to drink up a S'mores Stout filled with the spirit of a summertime campfire in Wild Woods' quaint environs, or the equally summery Thai-style White IPA at Upslope. Nearby, the always-bustling Fate Brewing expanded its capacity in the recent past, and is pouring styles like a roggenbier, Australian-style pale ales, and a GABF-winning kolsch called Laimas. And swing by CO's first craft brewery, Boulder Beer, for a chocolate porter milkshake, which includes chocolate porter ice cream, chocolate sauce, and whipped cream. Boulderites are all about doing things outdoors, which probably has something to do with the whole no-humidity-and-plenty-of-sunshine thing. So rent one of 300 bikes from a Boulder B-cycle station (not all of them at once, please), and bike around on the pleasant 5.5-mile Boulder Creek Path. Seeing as how Boulder's surrounded by foothills, there's plenty of hiking as well, and Chautauqua Park, which offers trails perfect for people who get up every day at 6am to work out, and people who just had a chocolate porter milkshake. Lazy fun can also be had at the Boulder Museum of Contemporary Art, a concert at the Boulder Theater, or a massage at the swanky St. Julien Hotel & Spa. Oh, and there's a little city called Denver nearby. We hear it has good beer, too. Between its pristine beaches, internationally recognized restaurant scene, top-rated performing arts, abundance of historical architecture, and booming craft beer scene, Charleston is a choice vacation spot for Southerners and Yankees alike. 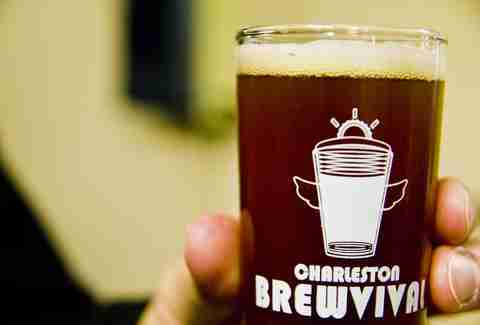 For beer lovers, Westbrook Brewing Co. in nearby Mount Pleasant is a major key, as are Edmund's Oast, Revelry Brewing Co., Palmetto Brewing Co., Cooper River Brewing Co., and Freehouse Brewery (all in Charleston proper). Plus there's North Charleston's Frothy Beard Brewing Co., Holy City Brewing, and COAST Brewing Co.
As any foodie worth their salt well knows, there's no shortage of quality bars and restaurants in the Chucktown, of course, and brew-minded travelers should definitely add Craftsman Kitchen & Tap House, Closed for Business, Smoky Oak Taproom, celebrated bottle shop the Charleston Beer Exchange, and Poe's Tavern on beautiful Sullivan's Island to the list. If all that good brew's got you restless, stretch your legs with a stroll around Magnolia Plantation and Gardens (one of Charleston's many impeccably preserved antebellum estates) or The Battery seaside promenade, explore local goods at the Charleston City Market, learn something at Fort Sumter National Monument or the South Carolina Aquarium, or relax on one of the Isle of Palms' beachy paradises. Meredith Heil is a staff writer for Thrillist. She's dodging raindrops, meaning she's on vacay, chilling on a big yacht. More dispatches @mereditto. Andy Kryza is a senior editor at Thrillist who is currently beer-cationing in his backyard. Don't tell his boss. Follow him to HR complaints @apkryza.